After the usual dithering about where to go, we somehow managed to end up at Stanage. Not sure how that happened, it's not nearly esoteric enough, there are even some recognised classic routes there. In an attempt to make up for this lapse, we started off at the Enclosure Buttress area, the bit between the Plantation and High Neb that nobody ever climbs on. Rain the previous night had left the rock green and greasy, so providing me with an excuse for bottling out of the crux of Central Buttress (VS 5a **). After a little half-hearted soloing on some filthy Diffs, we wandered towards the plantation in search of something cleaner and drier. Despite the increasing crowds, we found Goliath's Groove (HVS 5a ***) unexpectedly free, so Rob geared up and set off. Shortly later he was back at the bottom, courtesy of a slipped-off slippery layback. A change of tactics was called for, so he duly thrutched his way to the top. Carmen, seconding, decided to show us how to do it elegantly, so bridged the corner instead. And fell off. Rob then tried the same, thirding. And also fell off – pulling me off my stance as he did so, as I'd moved when Carmen got to the top, and not moved back again. Oops. Ian, Kirk, and co now arrived, having helped pick up the pieces when someone did a head-plant after falling most of the height of the crag. Somehow the climber involved not only survived, but left hospital the next day with nothing more than a few cuts and bruises. Finally we wandered off left to look at B Crack, S 4b **. Carmen led, and it was nice enough but not really worth any stars. And other than a tricky move to get off the ground, was standard Diff fare. Photos here and Ian's blog here. After a series of poorly attended camping trips over the summer, we were back to full strength with the return of the hut meets, a sell-out at the YMC hut at Clapham in the Yorkshire Dales. Saturday was grey and cloudy, with occasional drizzle, but everyone got out anyway. 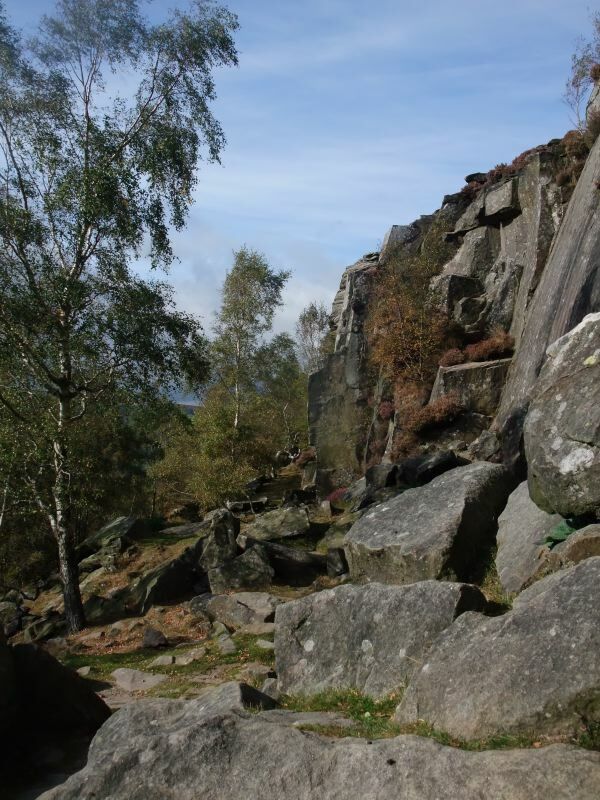 Carmen, Debra and I made for Ash Tree Crag, a nice little unpolished outcrop about 45 minute walk from the hut. Debra managed a few VDiffs before heading for the pub to meet Simon, who'd just run the 3 Peaks (time to beat = 6.5 hours), Carmen and I stayed until just before nightfall and managed to complete all 9 starred routes at VS and below. 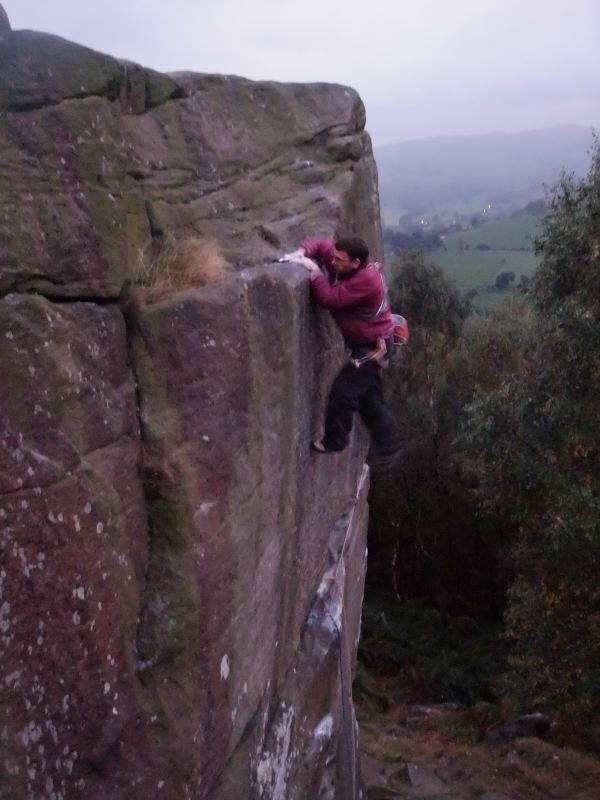 Pick of the crop for me was Christmas Cracker (VS 5a **). 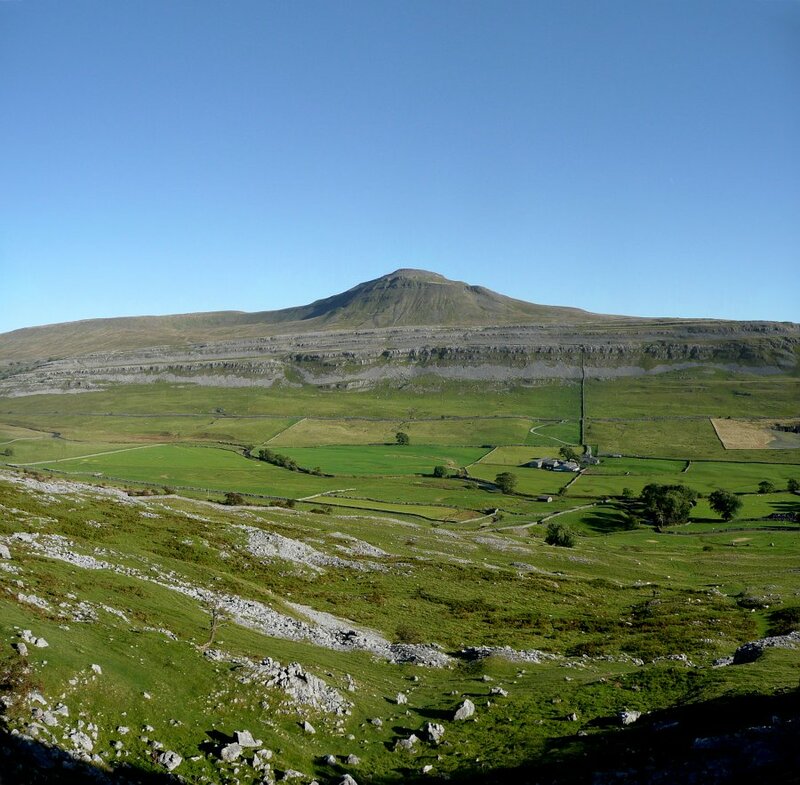 Meanwhile Donal and Annie went mountain biking, and everyone else went for a walk around, over, and/or up Ingleborough. That even Donal pulled out all the stops and served up a gourmet meal that made the whole weekend worthwhile by itself. Chicken, roasted vegetables, and cous-cous was followed by peaches/mincemeat courtesy of Annie, and cheese & biscuits provided by Paula and Steve. Sunday in pleasant contrast to the day before was clear and very sunny. Donal, Peter, and Dave headed for Penygent where they climbed Red Pencil and Damocles Groove ('much more solid than expected'). Simon & Debra went to Chapel-le-Dale, a recently developed outcrop near Twistleton which promised oodles of starred low grade routes. In the event, most of them proved disappointing and/or hard-to-find. Carmen and I went to Twistleton where we climbed 10 starred routes, all completely unpolished. It seems that everyone heads for the Main Wall area to add to its deep gloss, we saw no-one all day until we neared that area, where a dozen people or more were lined up queueing. Juggernaut (S 4b **), steep and, er, juggy. I think most of the others went for a walk up Penygent. A few more photos here. I then set up a top-rope (leading is possible, but the solidity of any gear is normally so questionable as to add an adjectival grade or two). We climbed Fondue Face (HVS 4c), at least that's the grade for those who can just about reach the mid-height ledge at full stretch – the tall would find it 4a, Will and I could just about reach, and Carmen eventually managed to leave the ground by using very 'traditional' methods (standing on Will's shoulders). The second half was good fun, steep and juggy and unexpectedly solid, like a climbing wall only cheaper. Not having a guidebook we then inadvertently climbed a 'new' line to the left at the same sort of grade. It was now getting dark, and muscles were pumped, so we went home. Forecast was great so Will and I headed back to the Peak, a bit later than hoped as I had some teaching to do. We parked at the top of Froggatt this time and walked along the flat track, fearing crowds as it was a Wed afternoon (=stooodents) and quite a few cars. A spot of drizzle also arrived at the same time. But where was everyone? – a few people and mutt (more later) and a team on an E2 and that was it. Straight onto Green Gut for gear lacing practice, then an enjoyable uneventful Chequers Buttress – followed by ab to try, unsuccessfully, to extract an abandoned cam in Chequers Crack. We headed for the slabs area. Will laced Trapeze Direct and tried a dozen different sequences before grunting up it. We soloed a few of the really nice easy routes, and had the place to ourselves – very unusual. Next a two pitch route. Valkyrie, steep jamming leads to a lovely traverse and awkward stance (overhead 2.5 cam to back up thread). Will arrived puffing a bit (after throwing cams down the face – he forgot I might need it later). P2 is a wonderful pitch, well protected – but extend everything, the bulges are much bigger than they appear. An awkward mantle was a bit rushed as the drizzle looked to be coming in. 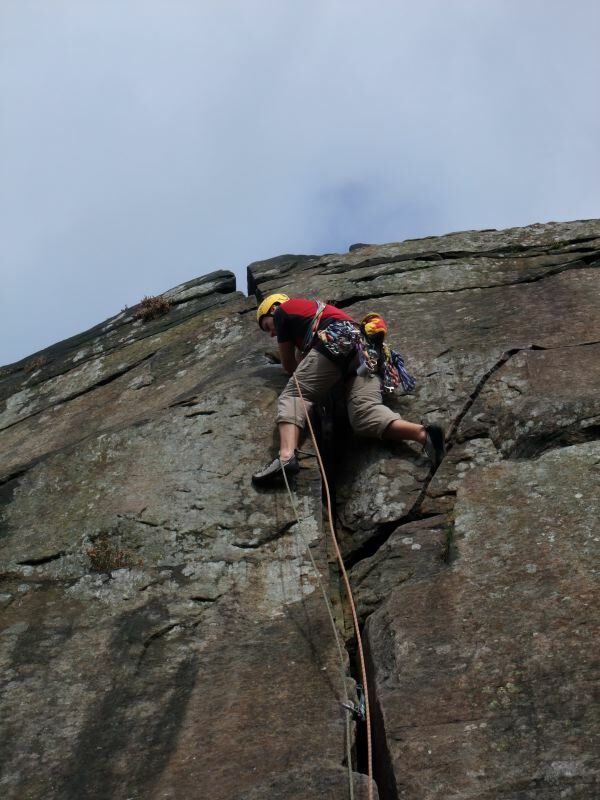 It was cold and windy on top – and an abseil retreat from a ring-bolt (horror). As Will finished I noticed Dave S, Al & mutt wandering along the path, so we went and chatted to them before Will romped up Terrace Crack, another gear swallower. It was about 6.15 by now and the drizzle which had enveloped the far side of the valley (and only kissed us occasionally) still looked threatening. On the walk out we stopped to watch Dave on Strapiombante – short and steep. Dave did it in typical style, resting on a cam when he looked comfortable and crushing on the crux in one quick burst. 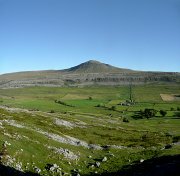 You are currently browsing the York Alpine Club Blog blog archives for October, 2009.